Posted by mys3lf on August 4th, 2016 & filed under Uncategorized. Posted by mys3lf on April 27th, 2016 & filed under Uncategorized. We are glad to announce that JetBrains approved our request for an Open Source license and ackowledged recalot.com as an Open Source project. 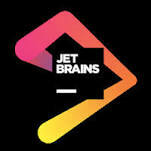 Thank you JetBrains for this. Posted by mys3lf on April 22nd, 2016 & filed under development.